Six sports clubs in the Highlands were celebrating last night after securing a slice of a £3.8million funding bonanza. Local shinty, golf, gymnastics and Amercian football teams were among 51 across the country chosen by national agency sportscotland for a cash boost from the National Lottery’s “Awards for All Scotland”. One of the most famous names in shinty, Newtonmore Camanachd Club, hit the jackpot, securing £10,000 from the fund. 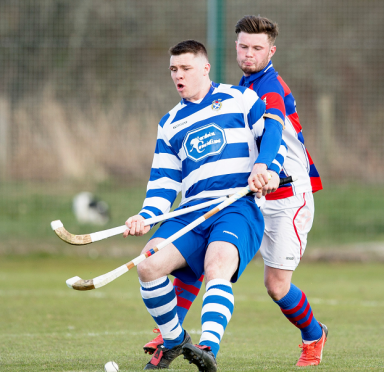 The cash injection means the club – which last year secured a record 31st Camanachd Cup and their seventh consecutive Premier Division title – can now develop neighbouring land which they purchased last year. The plot will be used to deliver more shinty training sessions and increase the capacity of the club. Meanwhile, shinty’s governing body, the Inverness-based Camanachd Association, will also receive £6,000 to create a new initiative to develop more shinty referees and officials across Scotland. American football team, Nairnshire Dragons, has been handed £9,000 to purchase equipment to enable the team to deliver full contact coaching sessions for 14-16-year-olds, as well as providing development opportunities to players once they reach 16. Dingwall-based Highland Gymnastics Partnership Association will receive £6,000 from the fund to deliver a coach development programme to share best practice across the sport. Fortrose and Rosemarkie Golf Club, a Scottish Golf Development Centre since 2013, has also been boosted by a grant of £7,000 to upgrade practice areas, while the Isle of Harris Golf Club have been allocated £7,000 to purchase maintenance equipment to improve the quality and condition of the course. Stewart Harris, chief executive of sportscotland, said: “At sportscotland, we believe in the power of sport and its ability to bring communities together.